Our imperial, Baltic-style porter is inspired by the strong, dark brews exported from Great Britain to Eastern Europe in the 18th and 19th centuries. Rich and flavorful with upfront notes of chocolate, caramel and toffee. No rhyme or reason for this one. I just saw it at the store the other day and picked it up to review. 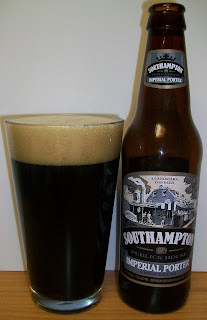 I’ve had quite a few good beers from Southampton so I’m expecting good things from this one. I’m a sucker for a good porter so lets see how this Imperial Porter shapes up. The beer pours a dark brown with just a hint of ruby hues sneaking around the side of the glass and a tan head. The nose is rich with sweet dark malt aromas and notes of coffee and chocolate. That’s a nice Porter; rich but very smooth and easy drinking. 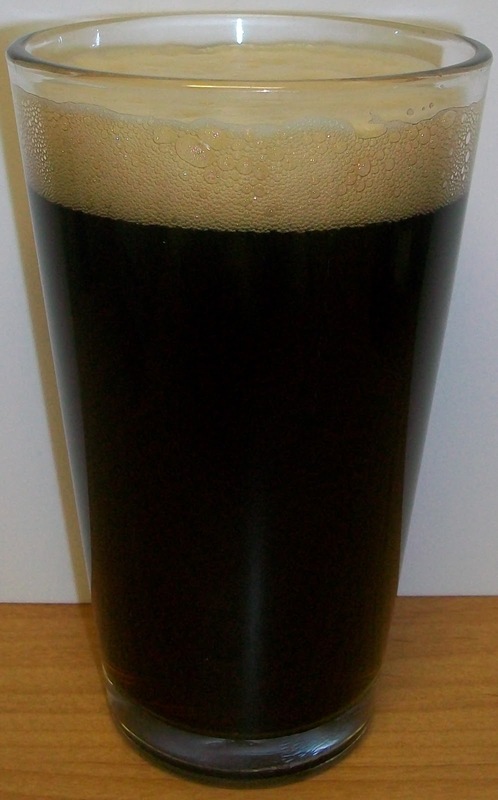 It starts out with sweet dark roasted malts up front then a rich but smooth mouthfeel through the middle of the sip. The back-end is fairly easy drinking with a carbonation release during the swallow. The flavors really start to show toward the end of the swallow into the finish. The finish is very flavorful with rich toasted malt flavors and just a hint of hop bitterness. There are also notes of toffee, caramel and chocolate on the finish. The final aftertaste is a pleasant lingering flavor of caramel malt and toffee. This is a very good tasting porter. I’m really surprised at the 7.2% ABV. The alcohol is not detectable at all; although the alcohol may account for some of the sweetness and soothing aspect of this Porter. Well, this review is going to be pretty short for me. But this one was so good it’s gone already. I’m going for an A- on this one. This is an excellent porter; smooth, rich and delicious with just a hint of hop bitterness on the finish.